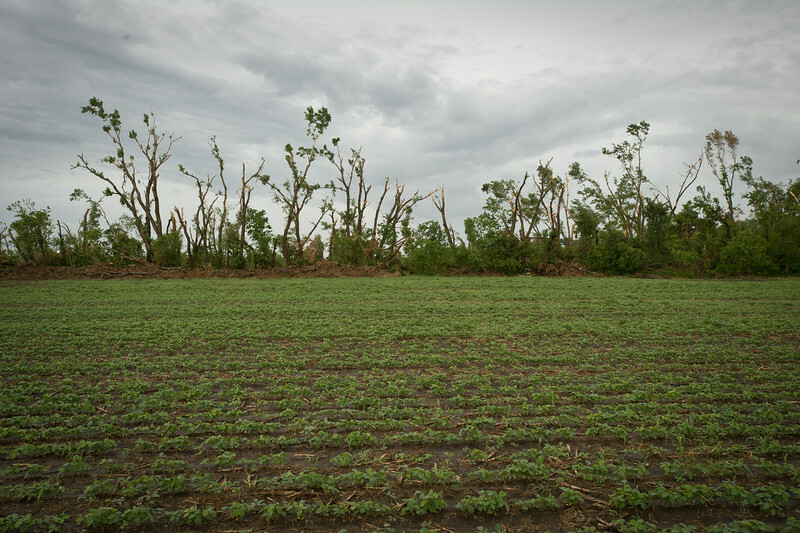 On the night of June 11th, at 10:20pm, a category F-3 tornado at least a half-mile wide devastated the small town of Chapman, Kansas. 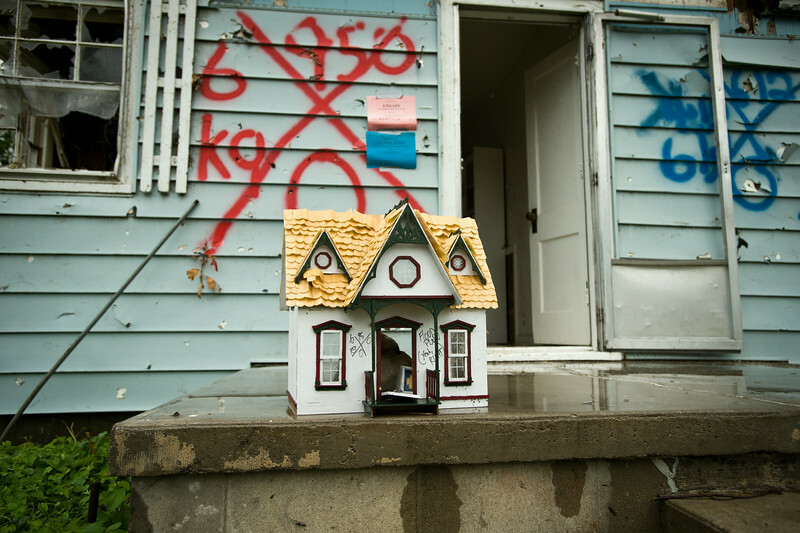 It left one person dead and created an estimated $70 million in damages. 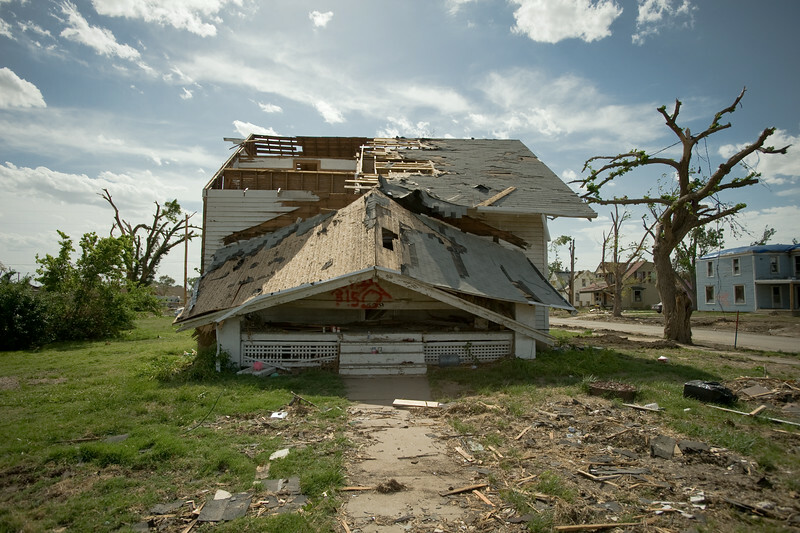 Nearly 70 homes, including the town’s two churches, a funeral home, the elementary, middle and high schools were reduced to rubble. 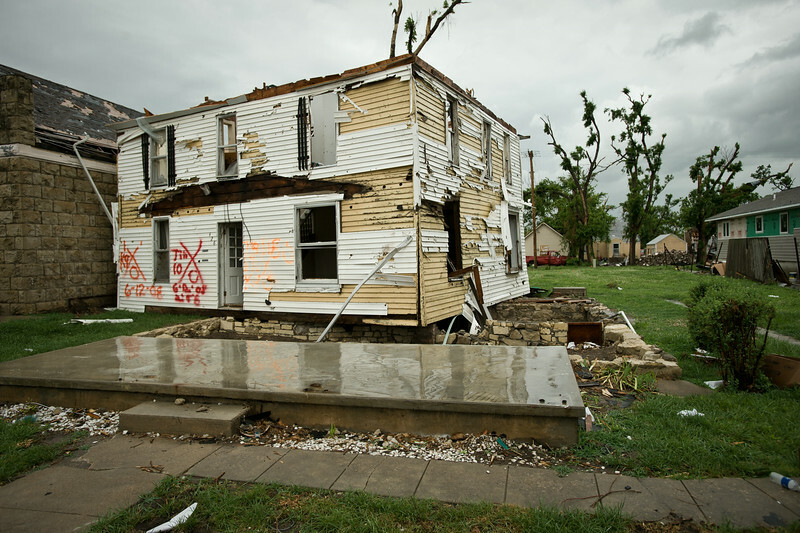 Another 215 homes were damaged as a result of the twister. 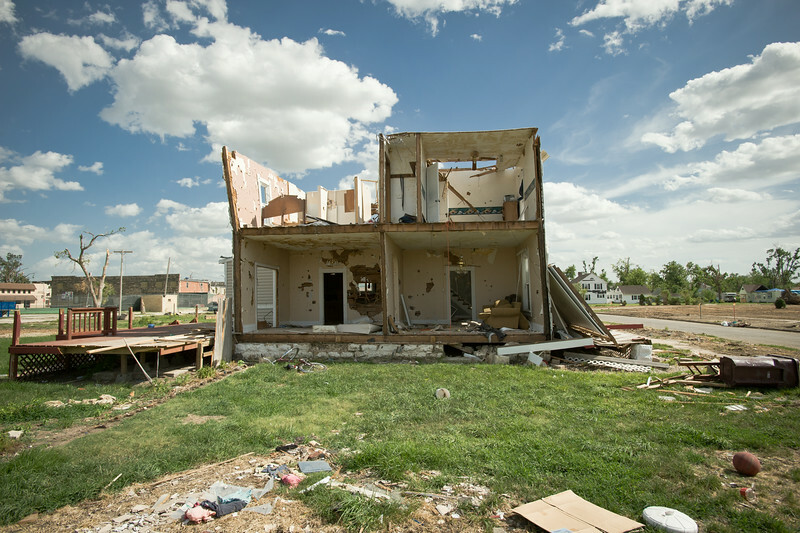 This set of images was taken three weeks after the storm hit. 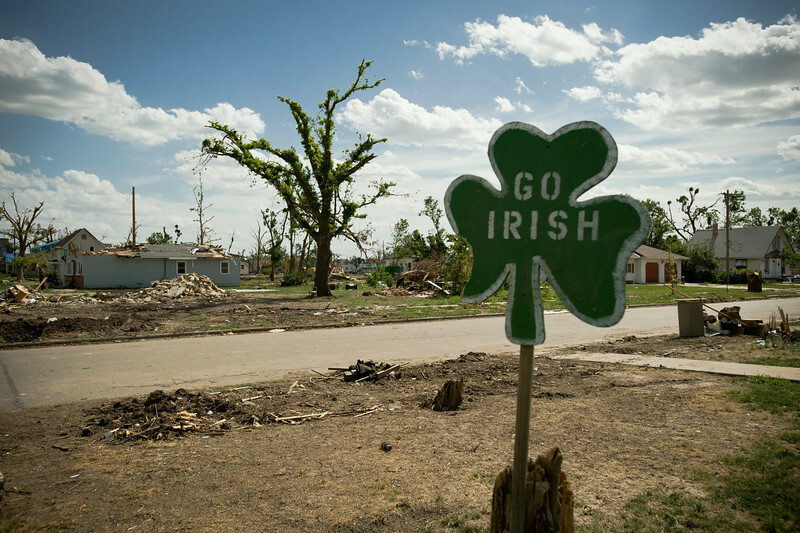 A sign supporting the Fighting Irish of Chapman High School is posted on a residential street in Chapman, Kansas. 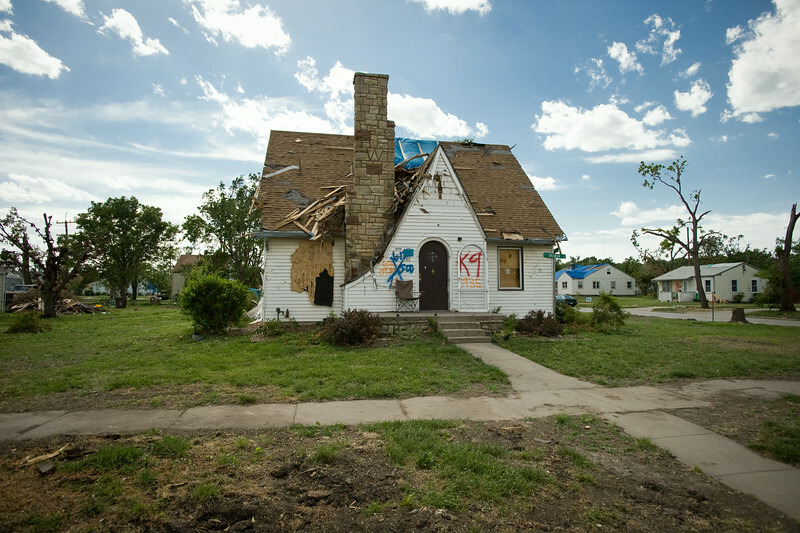 This home shows the devestating impact of an F-3 tornado that hit Chapman, Kansas on June 11, 2008. 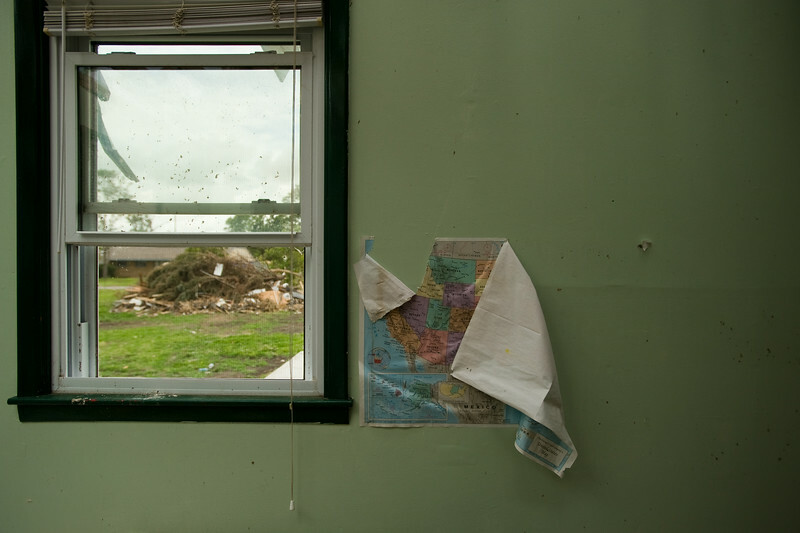 The interior of a damaged home in Chapman, KS. 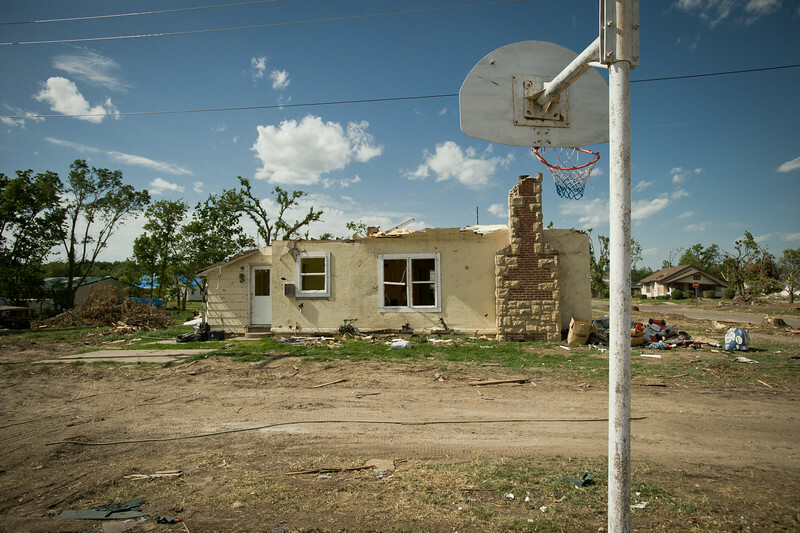 A damaged home in Chapman, KS. 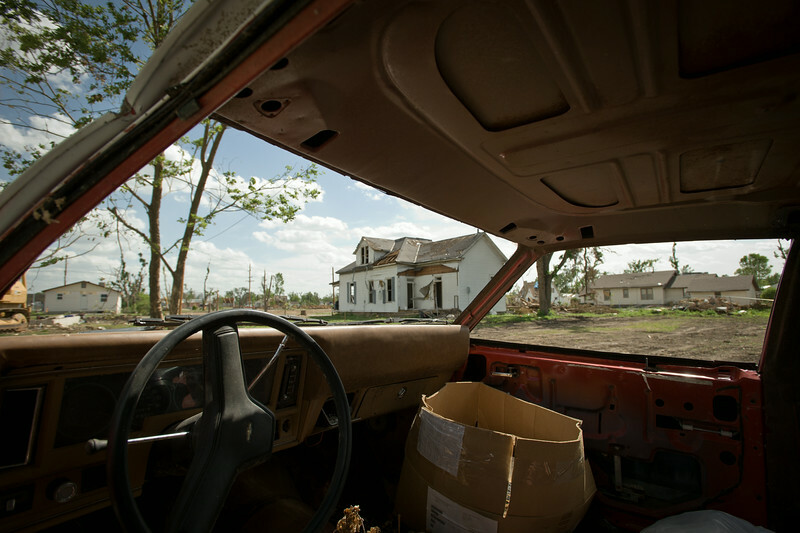 On the night of June 11th, at 10:20pm, a category F-3 tornado at least a half-mile wide devastated the small town of Chapman, Kansas. 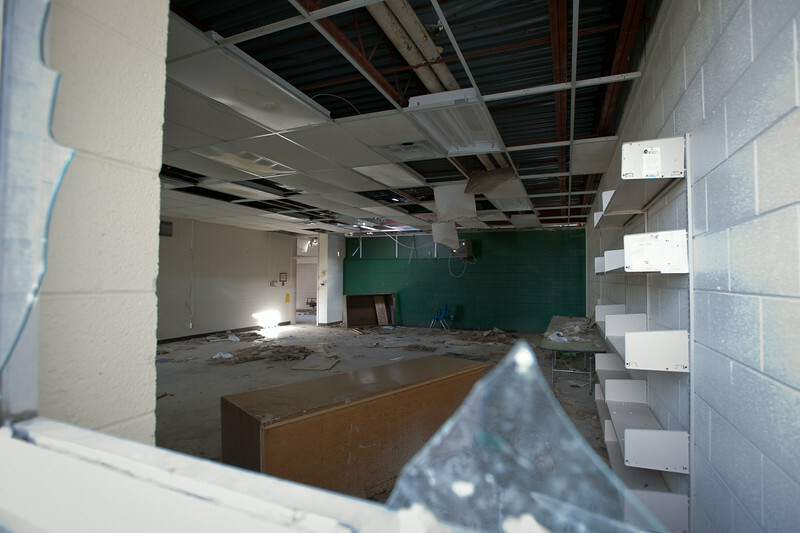 It left one person dead and created an estimated $70 million in damages. 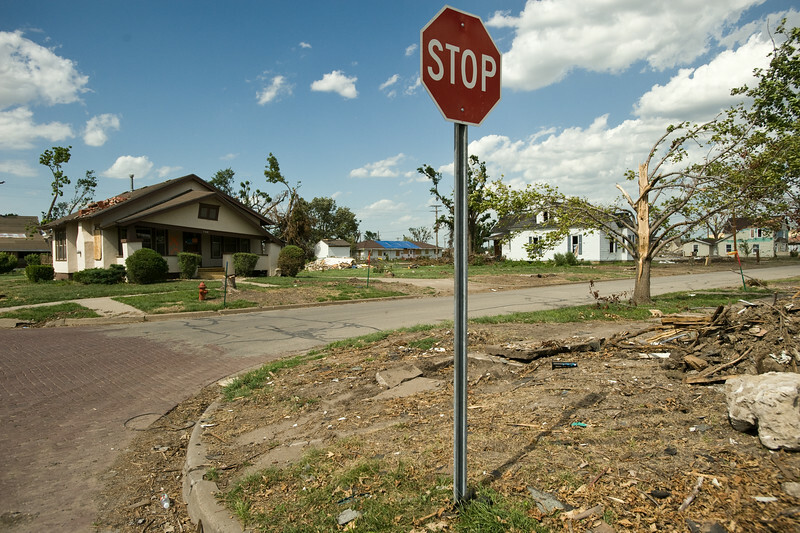 Nearly 70 homes, including the town’s two churches, a funeral home, the elementary, middle and high schools were reduced to rubble. 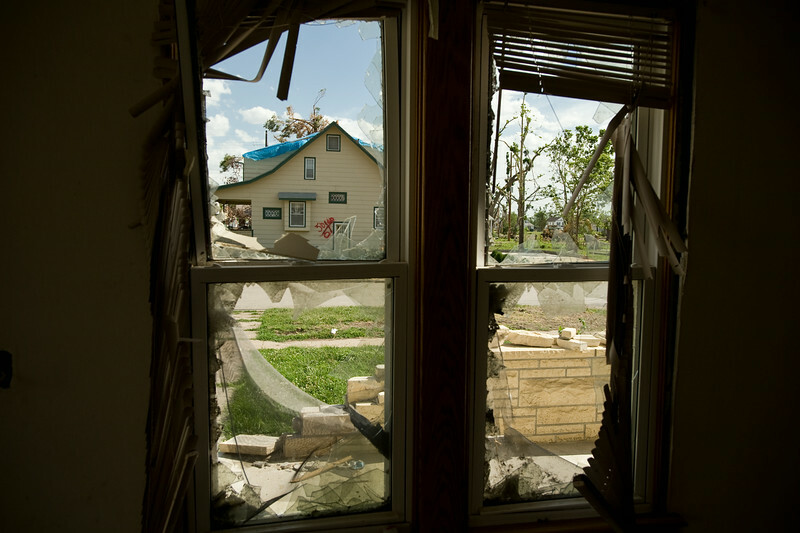 Another 215 homes were damaged as a result of the twister. 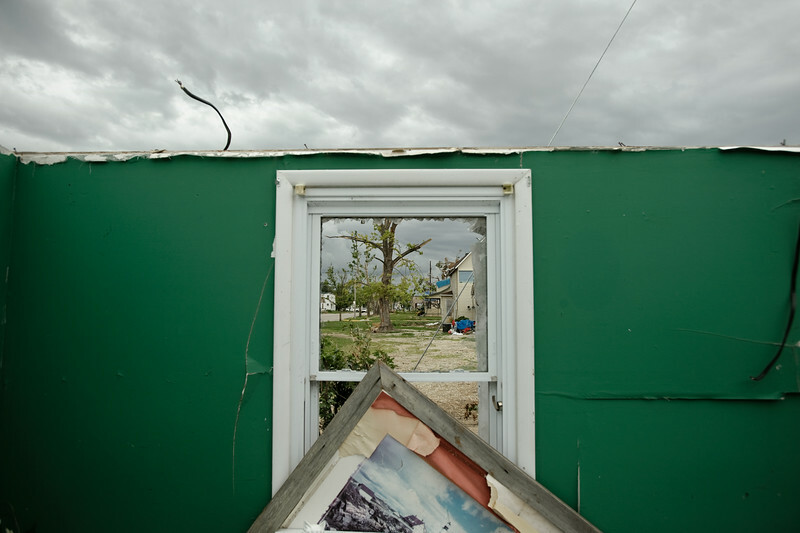 Here, an interior wall of a home, it's roof ripped off, frames the damage outside on a residential block. 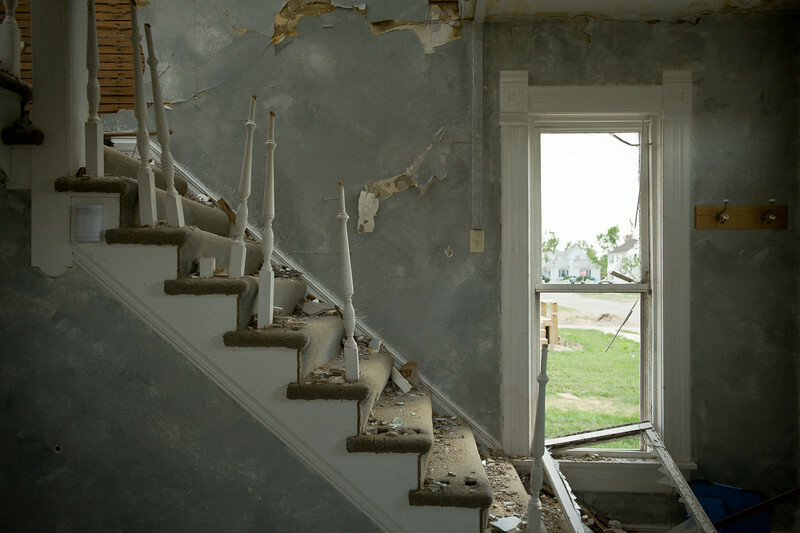 The view from inside a damaged home waiting to be knocked down. 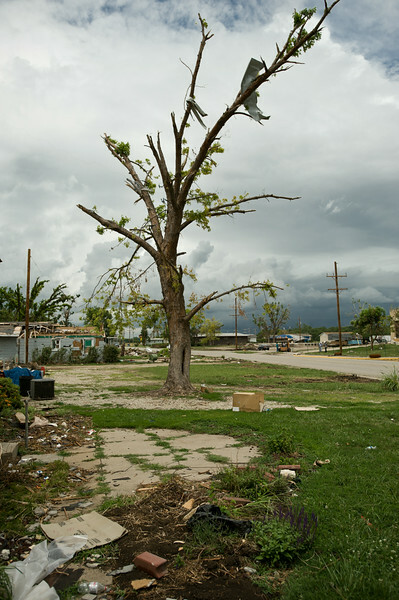 Two residents take a break during clean up efforts in Chapman, Kansas. 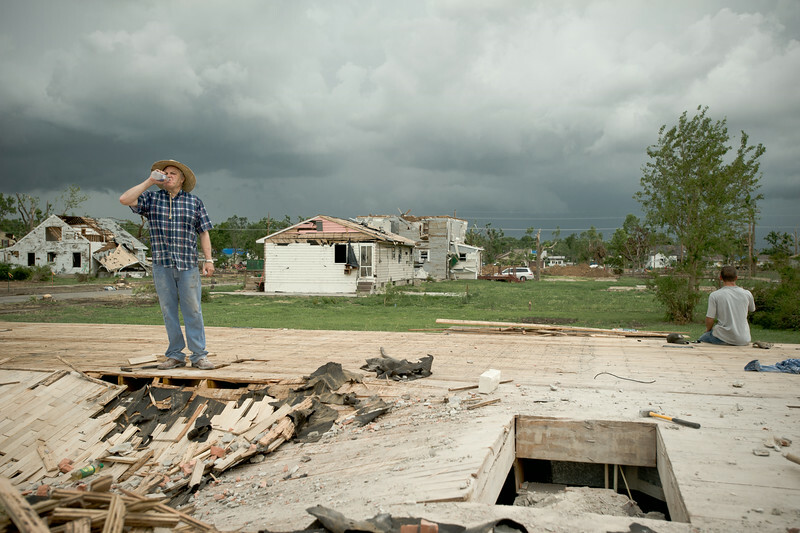 A home is blown off it's foundation.